Welcome to my world of fiction, art and entertainment! 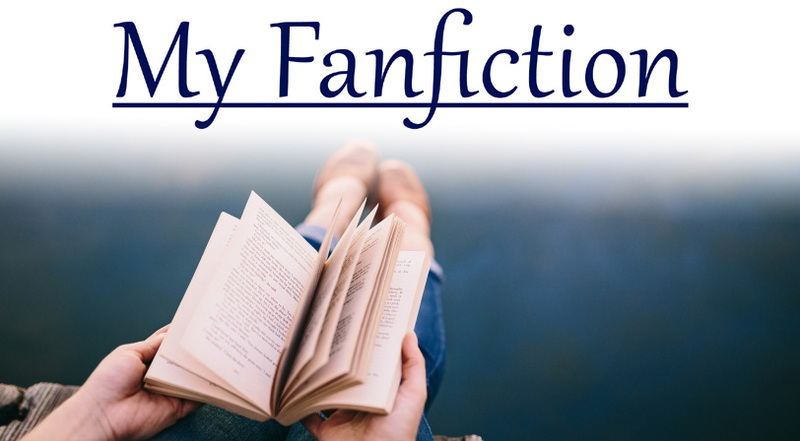 Looking for a novel or fanfic to read, a video to watch, or a comic that will either make you laugh or stab you in the heart? I've got all sorts of fun stuff for you! 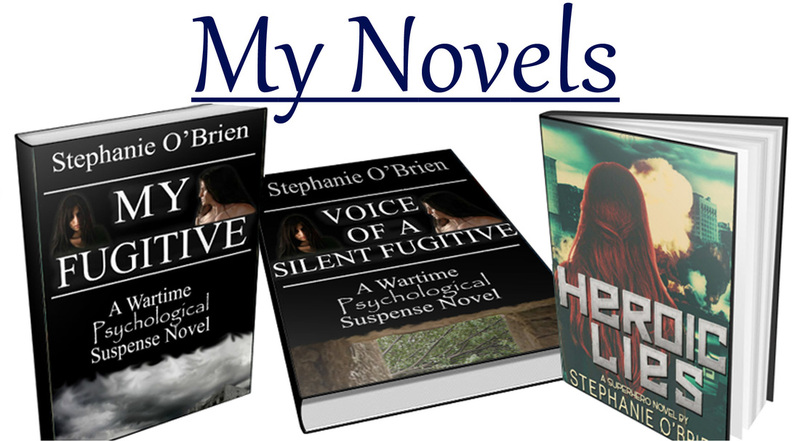 ​The Silent Fugitive Series: a dark, heart-wrenching wartime psychological suspense series, in which a mute prisoner of war is rescued and concealed by a young, determined homeless woman. Heroic Lies: A superhero novel, in which a playfully sarcastic reporter lies to the world to get a front-row seat to a battle between aliens... only to find lies far darker and more cruel than her own. Catgirl Roommate: A comedy novel for cat lovers, in which a persnickety, straight-arrow college student agrees to babysit an eccentric, misbehaved catgirl in exchange for free rent. 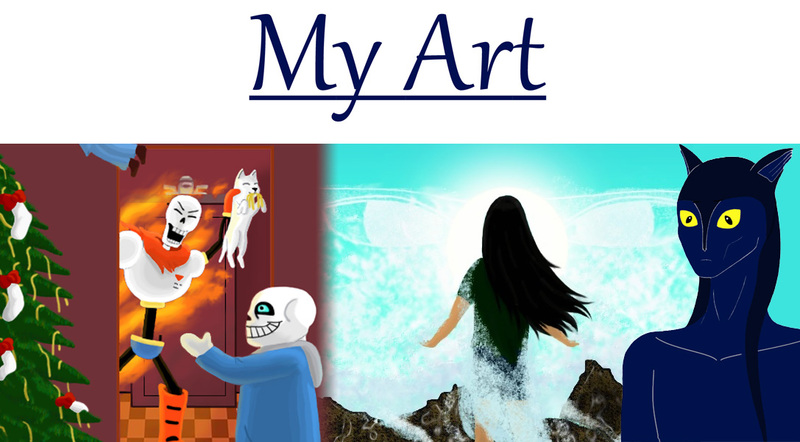 ​Undertale Art Gallery: My fan art for Undertale. My General Art Gallery: Fan art, concept art, and past book covers for my novels, as well as random artistic whims. Just Cause: My ongoing Undertale fan comic. My Society6 store, where you can get pillows, mugs, furniture and more with my art on it. Art commissions: If you want me to turn the image in your mind into a picture, visit this page to see my terms and prices. ​All videos: Every video I make, including music videos, song extensions, original songs, and comic dubs. Farscape videos: All my songs and music videos for Farscape. 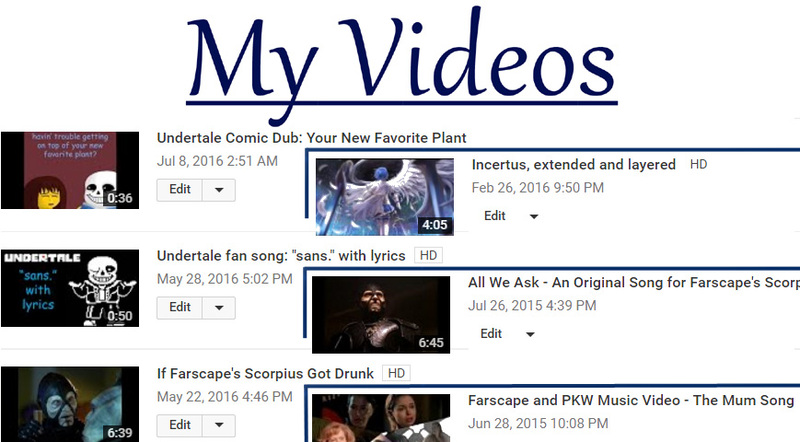 ​Undertale videos: All my songs and comic dubs for Undertale. Extended songs: Extensions of instrumental songs. Means to an End: A melancholy but resolute exploration of the motives, struggles and determination of Farscape's Scorpius. Four Times I Begged Them: A journey into the twisted mind, tragic backstory, and slow moral decay of Don't Starve's antagonist, Maxwell. Want to drop me a line? There are lots of ways to get in touch! 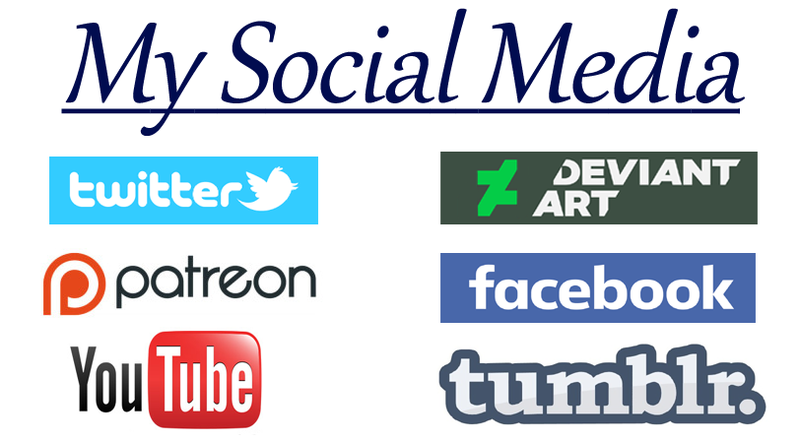 Visit my contact page to see a list of links to my social media accounts, as well as a quick summary of what I share on each site, and a contact form you can use to send me an email. Support me on Patreon to be the first to see my completed art, and to get exclusive access to rewards like the written fanfic version of page 43 of Just Cause!